Two men walk into a barbershop. No—this isn’t the beginning of a bad joke. Unfortunately, only one of them walked out. What happened? Robinson Furtelein had just finished getting his hair cut and went to the bathroom. Garry Garcon had just walked in. Without warning, gunshot fire erupted in the street causing those within the barbershop to take cover. Furtelein was in the bathroom and Garcon scampered to the back office that was adjacent to the bathroom. As bullets were flying into the barbershop, Garcon unloaded his gun into the bathroom door. Furtelein was found dead with his own legally-owned handgun still clutched in his hand. The next day, Garcon was arrested for the shooting of Robinson Furtelein. Garcon confessed to police that he panicked and fired his gun into the door. He told police that he did not see anyone threatening him. However, at trial, Garcon said he saw Furtelein open the door with his gun pointed at him. Garcon fired claiming he was in fear of his life. In stand your ground cases, a shooter who believes that they are in fear of their life has the legal right to retaliate with lethal force. The change in his story at trial shows the subtle difference between a panicked man unloading his clip at random and a man who felt directly in fear of his life from another man. It’s unclear if Garcon, had he maintained his story that he never saw Furtelein would have been charged with voluntary manslaughter or negligent homicide. He probably would not have faced second-degree murder. None of that happened, however. The case was not so much as allowed to go to trial. The judge dismissed the case citing Florida’s controversial stand your ground law. Family members of Furtelein were outraged. The law made famous in the Trayvon Martin shooting has a long legacy of causing many to scratch their heads. Ostensibly, the law makes sense. If someone threatens you with physical violence, the law should not impose on citizens a “duty to retreat” as many other states do. The muddle comes into play when judges and juries are asked to determine the defendant’s mental state. How can we know whether or not the defendant was truly “in fear for their lives”? The process became more complicated for prosecutors when Gov. Rick Scott introduced legislation to pass the burden of proof from the defense to prove that the defendant was in fear of their lives to the prosecution. The prosecution is now forced to prove that the defendant was not in fear of his own life when they fired the weapon. It’s a nearly impossible standard to hold them to. Now, many fear that this will encourage vigilante-style escalation of violence. The Skier Law Firm P.A. 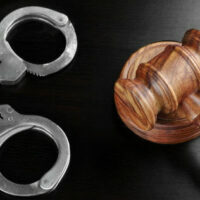 has successfully represented those charged with murder and other violent crimes in West Palm Beach. Our attorneys have the trial experience you need to successfully defend yourself. If you’ve been charged with a crime, please give us a call or talk to us online to set up an appointment.